This document has been created by the British Antique Dealers’ Association (BADA) to address some of the questions we are asked about antique ivory. There are many misunderstandings about the use of ivory in antiques and we believe that the information given below will help provide more clarity. The poaching of elephants in the wild and the threat that this causes to the survival of the species is a very serious matter. We should make it absolutely clear that BADA members deplore the illicit market in ivory and are fully supportive of targeted and proportionate measures aimed at eradicating it. If we want to stop the poaching of elephants should we ban the sale of all ivory? It is not quite as simple as this, because most of the objects found in the UK today made from or incorporating elements of ivory were created many years ago and are part of our shared cultural heritage. These historical items are not derived from recently-poached ivory. How was ivory used in the past? Elephant ivory in large and small quantities has been incorporated into cultural artefacts for thousands of years. As long ago as 1600 BC workshops in Mycenae were producing ivory boxes and furniture inlaid with ivory for export to the Greek mainland. In Egypt during the reign of Tutankhamun it was used as inlay in luxury goods, such as chests or head supports. Ivory has been carved, valued and appreciated in Africa, Europe, India, the Far East and America. Its use charts and reflects the changing culture of the world over many centuries and over widely differing cultural backgrounds. To the uninitiated, ‘antique ivory’ conjures up images of carved tusks or figures made entirely of ivory, but these types of objects are in a minority. Ivory features in a wide range of antique objects, objects which were created at a time when elephants roamed Africa in their millions and their future was not under threat as it is today. 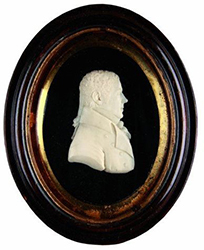 Ivory can appear as inlay in an 18th-century gaming table or be the wafer-thin base material for a 19th-century portrait miniature. It is incorporated into culturally-important objects, such as carved Christian diptychs from the 14th century, important 18th-century Grand Tour objects, such as the famous Walpole Cabinet in the Victoria & Albert Museum, and countless pieces of antique furniture and related works of art - picture frames and antique barometers are just two examples – as well as silverware. What do people mean by the term “ivory market”? In a document pressing for an indiscriminate ban on the sale of all ivory objects it has been stated that the “UK’s domestic ivory market” is connected to the illegal trade in ivory and that a “British ivory market” persists to this day. Are they referring to this? Or to an object, such as this 18th-century relief portrait? References to an “ivory market” fail to recognise the different types of objects in Britain that have incorporated ivory over the centuries and their widespread ownership. Would the purchaser of an 18th-century mahogany partners’ desk be described as part of the modern timber trade or would the buyer of a classic car be a participant in the international steel market? Such references also fail to recognise that for countries such as China, with its modern ivory carving workshops, ivory is very much regarded as a commodity, in contrast to the British public’s attitude to it. As recently as 2008 China legally acquired 62 tons of raw tusks to meet the demand of its ivory workshops, which are now fortunately being closed down. It should be noted that many ivory sellers in China price ordinary ivory carvings according to their weight. Whilst some people may experience distaste at seeing an object derived from animals whose future is currently threatened, it must be understood that when most of the antique objects in people’s homes today were originally crafted ivory was widely available and frequently used for many creative and practical purposes. Britain for hundreds of years has been a trading nation. It is inevitable therefore that this has given rise to a body of heritage objects that includes hundreds of thousands of art works incorporating ivory. These objects already exist in museums and in the private homes of many people. The principal reason that antiques incorporating ivory are bought and sold here is down to their historical attributes and the cultural interest they engender, as well as the fine craftsmanship applied in their creation. 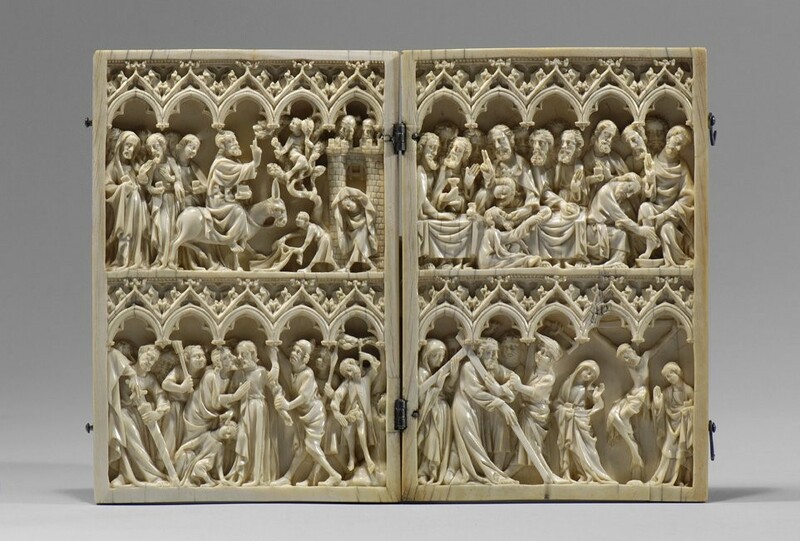 For this reason a modern ivory trinket may sell for a few pounds, whereas a medieval devotional carving of the same volume can achieve a very much higher price. If it were not for their historical attributes and distinctive workmanship ivory objects would hold little or no interest to antique lovers. Unlike the situation in the Far East, there is no appetite from the UK public for modern ivory trinkets. Consequently use of terms such as “UK’s domestic ivory market” is misleading. What we have in the UK is a domestic antiques market, and some of those antiques happen to incorporate ivory. To suggest that the legal purchase and sale of genuine antiques is in some way “connected to the global illegal trade” in modern poached ivory is not backed up by substantive facts. What is meant by “illegal ivory”? • ivory objects (antique or otherwise) that have been offered for sale or exported without the correct paperwork. It is currently illegal for any ivory item (irrespective of its age) to be exported from the UK to a country outside the EU unless accompanied by a CITES re-export permit. These permits are issued to ensure that the trade in many hundreds of endangered species is monitored, and in the case of ivory are usually issued only for worked items made before March 1947. In the UK it is also currently illegal for an ivory item made after March 1947 to be offered for sale without an “Article 10” licence. It should be understood that breaches of both these rules do not necessarily mean that the ivory concerned was poached illegally in the wild after restrictions were introduced in 1990; for example it could have been legally obtained and carved in the 1950s or 1960s. Does the UK play a major role in the illegal trade in poached ivory? The report also reviewed the international movement of ivory across borders and seizures made by the UK’s Border Force. TRAFFIC reported that between 2010 and 2014 there had been an average of 30.8 ivory seizure cases per year, with large scale seizures unusual. It is not clear from the report whether the seizures were in respect of inbound, outbound or transit movements of goods, nor the age of the items. However, the majority of seizures in the decade to 2016 involved the smuggling of individual pieces or small groups of ivory carvings and this was considered by TRAFFIC to be “in line with a broader assessment of the EU, which appears to play a relatively small role in large-scale transactions of ivory compared to other regions” of the world. In 2015 Border Force ran an operation targeting postal parcels en route for China.1 150 ivory items were seized, mostly antiques for which the required export permits had not been obtained. Most of these items were not therefore derived from recently-poached ivory. 9 crude ivory carvings offered for sale on eBay as “cowbone” from Cumbria by private person. Carbon dated as post 1947. Auction offered for sale a number of tusks. Not clear whether these were old tusks. Auction fined for wrongly deeming genuinely old antique mounted tusks as “worked” ivory. Woman fined for buying two carved elephant tusks on eBay which were not pre-1947. BBC report pre-selected 9 suspicious-looking carvings (not inlaid or composite items) out of several hundred offered at physical auctions. 4 found to be from the 1950s or later, of which 1 was from 1980s. In both of the above cases the items dealt in were of low quality (in one case the average value of items was just £83 each). None was of the type sold by the mainstream antiques trade. The people selling these small items were not professional antique dealers and the quality and nature of the items meant they were of no interest to those who collect genuine works of art. A group of private citizens made systematic enquiries of regional auction houses and why the auctions believed the ivory carvings they were selling complied with the pre-1947 cut off date. They compiled their report about 180 post-1800 ivory carvings they had pre-selected as having “unusually low estimates” or exhibiting “unusual colouring”. 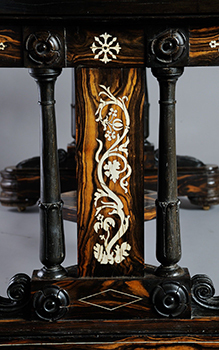 Items inlaid with ivory or with ivory as a minority material were excluded. They published their findings in the Autumn of 2017 and indicated that they had notified the police about 15 of the carvings. It is not clear whether any of the reported items were subjected to conclusive scientific date testing and therefore whether they represented examples of modern ivory. Born Free arranged the carbon dating of a carving of a vegetable (a capsicum) that had been on sale at an Alexandra Palace antiques fair in London in 2016 and found it to have been taken from an elephant as recently as 2004. It is not clear why the object had been selected for testing. They reported that it had subsequently been shown to seven auction houses or dealers, who had indicated they would be willing to sell it, although it was not made clear whether the people shown the object were specialists in ivory carvings. Born Free claimed in their press statement that the existence of this item meant there are “many thousands” of similar objects flooding in and out of the UK, yet they provided no evidence or justification for their belief. BADA estimates that there could be upward of 40,000+ antique items containing or made from antique ivory offered for sale in Britain in the course of a year. In this context the number of items to our knowledge confirmed as being made from modern day poached ivory and offered for sale represents an extremely small proportion of this total. It is difficult to see how any of the above examples could lead to the conclusion that the UK is a significant final destination for illegally poached modern ivory. Does the UK export ivory tusks? The UK authorities have not issued permits for the commercial export of “raw” ivory tusks for many years. Despite this TRAFFIC reported that over a 10 year period the UK had submitted to the CITES secretariat information indicating that 17 elephant tusks had been legally exported from the UK. Over the same period recipient countries had claimed the UK as the source for a much larger number of tusks. • In the unlikely event that the UK’s own figures were correct (and export permits were actually granted for unworked tusks) then the raw tusk shipments would have been legitimate and not therefore associated with smuggling. • In the more likely event that no export permits had been granted by the UK then it is possible that destination countries were being presented with false UK export permits and falsified information concerning the source country of tusks. Overseas authorities should be aware that the UK does not issue commercial re-export permits for tusks. The TRAFFIC report noted that there are major discrepancies between the import and export figures in the database maintained by the CITES secretariat. These appear to result from significant variations in how data is interpreted and processed by different countries. CITES is aware of this problem in respect of all species listed in its database and provides explanations for why it occurs. Is it accurate to say that more than half the ivory exported from the European Union comes from the UK? It has been reported that between 2006 and 2015 the UK accounted for 54% of all the EU’s exports of ivory. We understand how this figure was calculated, but we believe it paints a misleading picture because it fails to draw a distinction between large uncarved tusks and small carvings or other objects inlaid with small amounts of ivory. Tusks were typically used to create dozens, sometimes hundreds of carvings, as well as provide decorative inlay for many hundreds of objects. Additionally there are differences between how some countries record their ivory exports, for example the UK treats the export of a single piano with ivory keys as 52 exported ivory items – 52 being the number of white keys on a typical piano keyboard – whereas some other EU countries count a piano as just one ivory export. Counting up the number of exported tusks that each weigh several kilogrammes and giving them equal prominence to the number of 4g piano keys or carvings typically weighing 40g or 50g is like comparing apples with pears. Based on the guidance principles used by TRAFFIC we have reworked the EU export figures so that tusks exported from other EU countries are counted by reference to the average number of carvings that could be made from them. As a result, in 2015 the UK represented just 3% of the EU’s ivory exports that year. 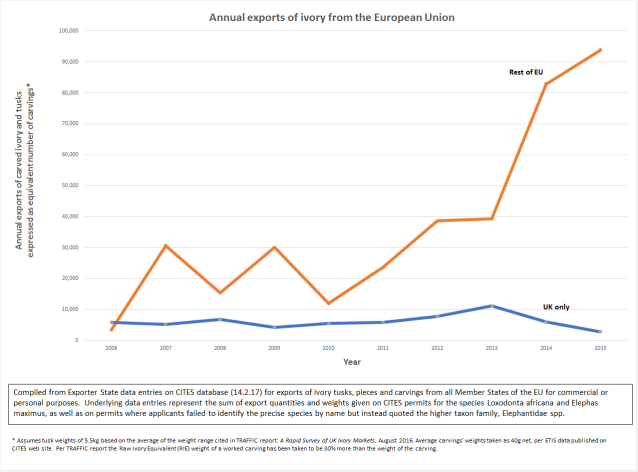 The adjacent chart shows how the amount of ivory exported from other EU countries increased almost exponentially in recent years, fuelled by the export of tusks, whilst the UK’s exports experienced a decline. Is the UK the world’s largest exporter of ivory? As with the issue of the proportion of EU exports, BADA has reanalysed the CITES data taking account of the tusks exported by other countries in the EU and in the six year period 2010-15 the largest volume of ivory exports were made by France, followed by Belgium and the Netherlands, with the UK coming fourth. In contrast to published assertions that in 2010-15 the UK had exported “370% more ivory globally than the next highest exporter”, the UK actually exported 47% less ivory than France. In 2015 the UK's exports came sixth, behind Belgium, Spain, France, Italy and the Netherlands. Belgium's exports were 1,300% more than those of the UK. Does exporting antique ivory from the UK to the Far East fuel the demand in places such as China and Hong Kong? The fine art and antiques market in the UK is the second largest in the world and it is a magnet for those who appreciate antiques. People come to the UK to buy oil paintings, bronze sculpture, antique silver tableware and jewellery as well as the finest antique furniture. It is hardly surprising therefore that some of the antiques that visitors to the UK purchase and take away will sometimes include ivory elements or be made entirely from antique ivory. With the UK having a position as a global entrepôt for art and antiques, China and Hong Kong’s desire to re-engage with their cultural heritage means that they represent significant destinations for Chinese antiques exported from the UK. It is no surprise therefore that about 1,200 items containing antique ivory were exported from the UK to China and Hong Kong in 2015, equivalent to 11 tusks. However, these exports have to be looked at in the context of the size of the Chinese market. That same year 602 tusks were lawfully exported to China and Hong Kong from all over the world; the equivalent of 60,000 carved objects. Not only did those tusks in themselves represent a far more significant contribution towards the Chinese retail ivory market than imported carvings, but the fact that tusks can be imported legally into China is well-recognised as providing a cover for the illegal import of raw tusks taken from elephants recently killed in Africa. The import of 1,200 antique ivory items from the UK into China also contrasts with the amount of legally-registered ivory, including raw tusks, already held there by vendors and carvers. In Hong Kong alone in 2015 this amounted to 78,000 kg , which is the equivalent of 1-1.5 million carved items. As a proportion of the total existing ivory items in circulation in China and Hong Kong the UK’s export of antique items is insignificant. Although not representing a direct link to poaching we understand some lower value antique carvings have been purchased by Chinese buyers intending to re-carve them in China – this would not apply to higher priced carvings or most inlaid or composite objects. The use of some antique carvings in this manner could be regarded as encouraging in a small way the creation of modern carvings in China or Hong Kong. However, as a proportion of all old ivory items on sale in the UK the number of carvings sufficiently cheaply priced and large enough to be re-worked is limited. If the carvings of this nature were assessed as part of a third party verification process it is unlikely that they would pass the test of being culturally or historically significant, so would not receive a re-export permit. As previously stated, in the context of Chinese ivory stockpiles the numbers of exports from the UK to China are small. Is newer ivory “frequently” disguised as antique? From time to time there may be in circulation some small, low value carvings made from late 20th-century ivory, which have been artificially aged. We are not aware of any examples of ivory tusks being imported into the UK to create these objects, so these artificially aged items may have been imported as carvings at some time during the last few decades. In comparison to the large numbers of genuine antiques that incorporate ivory the amount of ivory falsely aged in this way is very small. The professional antique trade’s experience is that aging techniques have mainly been applied to poorly-made and low value items. Whilst general dealers or auctioneers may not pick up on such items, experienced art market professionals or museum curators can spot them relatively easily. In the context of all antiques made from ivory it is therefore misleading to allege that newer ivory is “frequently” disguised as antique. Does the sale of legal ivory mask the sale of poached ivory? It is regularly stated by some that the sale of legal ivory items masks the sale of poached ivory. BADA fully acknowledges that in places such as Hong Kong and China, allowing legally acquired tusks, whether in sanctioned purchases from Africa or old tusks imported from some EU countries, has masked the illegal imports of modern poached tusks. A modern carving made from a legal tusk cannot readily be distinguished from a modern carving made from a poached tusk. However, as noted elsewhere in this document, so far as the UK is concerned specialists with the appropriate knowledge are able to judge whether an item was made in an earlier era. For items containing elements of ivory combined with other materials this can be facilitated by the context of the ivory component in relation to those materials. 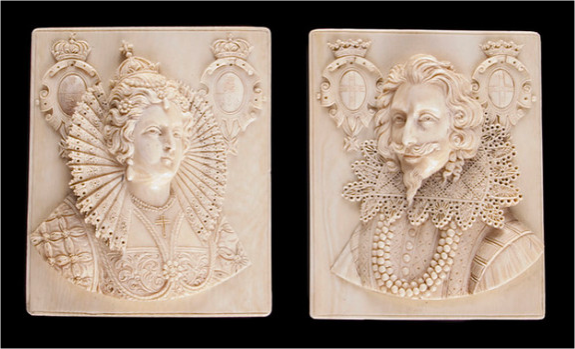 Identifying solid ivory carvings is more the work of a specialist. This was found to be the case by the people who compiled the report Ivory: the Grey Areas, who received unsatisfactory explanations as to the dating of solid ivory carvings at some non-specialist regional auctions. This is why BADA has recommended a system of third party verification for carvings or items comprising mainly ivory. If scientific dating of ivory is prohibitively expensive and cannot therefore be widely used, how can we be sure items are not modern? In the majority of cases there is no need to use radiocarbon dating to decide the age of an ivory object, unless this is required in support of a criminal prosecution. Listed here are the factors taken into account when an assessment is made by art market professionals and museum curators as to whether an object is a genuine antique. No single factor is used in isolation and knowledgeable specialists will always consider several in parallel. Crudely carved modern tourist mementos and trinkets can be readily distinguished from antique works of art by art market professionals, but the precise dating of those modern day items to an exact year or decade can be more difficult and may require scientific testing. In summary, the vast majority of objects that contain ivory are antiques which are capable of being identified as such. This contrasts with the tourist mementos or carvings of little artistic merit from Africa or India dating from the 1950s to 1990s, which are hard to tell apart from similar carvings made from recently-poached ivory. This is another reason the antiques trade supports a system of third party verification for ivory carvings. Have the Chinese, Hong Kong and French governments introduced complete bans on the sale of ivory? No, their bans all make exemptions for historical objects. The UK antiques trade very much welcomes the measures introduced by the People’s Republic of China to close the ivory factories that still exist in China and to stop imports and trade in modern ivory and tusks. Ivory objects will continue to be allowed to be sold if they are identified and licensed as “ivory relics” by professional bodies. The term “relic” is usually taken to mean objects that pre-date the 1949 revolution. The Hong Kong legislature’s new restrictions on the sale of ivory make provision for the continued sale of works of art that were created before 1925. The new French law that was finalised in May 2017 will continue to allow the sale of pre-1947 ivory objects, but with a licensing procedure for objects made entirely from ivory or containing more than a certain proportion of ivory. Ivory items manufactured after 1947 and as recently as 1975 can still be sold in France provided the ivory in them weighs no more than 200g. Has the US introduced a total ban on ivory sales? • across state lines, of any ivory item provided it was legally sourced and imported prior to the US import ban and for which the ivory element comprises no more than 50% of the object and weighs no more than 200 grams (the weight of ivory on a typical piano keyboard). These rules mean that provided a seller can demonstrate its legality a carving made for example in the 1960s from legally-acquired ivory can still be sold in the United States.